These days, everyone is coming out with a gimmic IPA. Stone releases a new one every month and quite frankly, it gets a bit ridiculous after a while. Had this been something from Stone, I would have passed on it. Not because it wouldn’t have been good, but because I’m bored with it. Over the past year, Sierra Nevada has impressed me. They have taken some bold steps to stay relevant in an over-saturated craft beer industry, successfully putting out some solid beers and collaborations. 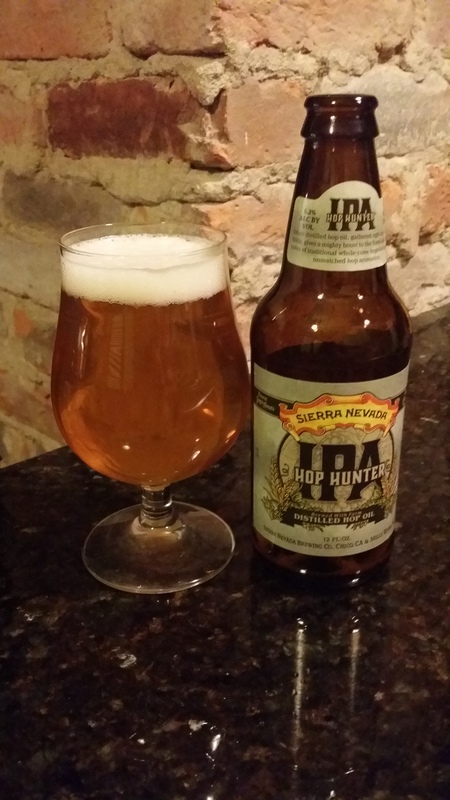 With Hoptimum being one of my favorite Imperial IPA’s from Sierra Nevada, I had good reason to give Hop Hunter a try. Hop Hunter is brewed with an all new method, steam distilling wet hops before they leave the fields. 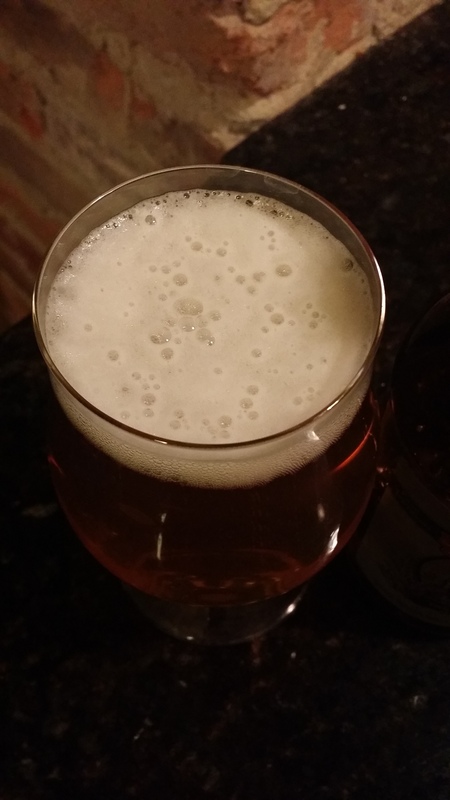 According to Sierra Nevada’s scientist and hop genius, Tom Nielson, the technique allows the brewery to procure hop oil right from the hop farms, as opposed to the brewery. The brewery retrofitted machinery that used to be used to extract oil from mint plants. Multiple trailers store the freshly picked hop cones. With the normal hop process, the hops are dried from 75% moisture down to 10%. A lot of flavor is lost during this process, so these trailers were designed to steam the hops, collect the vapor, distill it, and then separate the oil from the water. So how was this beer? The first time I had it, I was taken back. I found it to be a little bitter and it definitely had a taste that was different from your normal IPA. I was not a fan. A few days later, I had another. I found the flaver to be the same, but not nearly as bad as the first time. I was still not a fan. About a week went by, and one afternoon I decided to give it one more try. Third time’s a charm right? Yes actually! Something about this beer clicked with me on the third time around. Beer Advocate gives this about a 91%, and I think that’s a fair assessment. If you try this and don’t like it at first. give it a few more tries. It’s not a technique I normally use with beer, but I found this to be an original enough concept to give a fair chance.